As a mom you’re likely very busy taking care of the kids, going to work, and being a home maker. Isn’t it nice whenever you come home to a comfortable space to just sit down and relax? If you haven’t found that special chair yet, perhaps you just haven’t looked enough or discovered what type of chair fits your personality and lifestyle. Everyone likes to have their own space where they can retreat, and finding that perfect chair that has a personality that fits your own will make relaxing all the more enjoyable! So what chair will work best for your comfort level and your personality? Let’s find out. Leather Chair – A leather chair is both sophisticated and works well in a cabin or a den. If you love leather chairs that have a rustic appeal you most likely enjoy nature and all of your surroundings near your home. An antique leather chair will look stylish in a space that’s both earthy and appealing and will be nice to enjoy after going on a hike in the woods. Princess Chair – This type of chair speaks for itself with its delicate and curvy appearance. Most princess chairs are tufted with beautiful fabrics such as velvet and suede. They come with curvy legs and echo the time period of when Queen Ann was alive during the Victorian era. 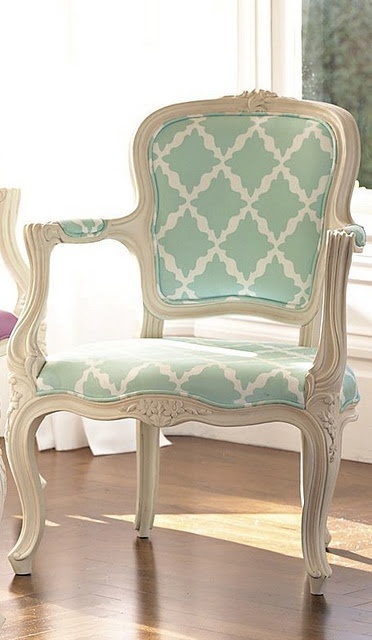 If you are a princess you most definitely will love an elegant and beautiful chair, just like yourself! Retro Chair – Retro chairs come with a chrome frame, leather seat and back, and their primary colors include yellow, red, or blue. If you love retro chairs then you probably are domestic and love to cook and bake for your family. Family time in the kitchen is enjoyable, especially with retro chairs that emulate how much you adore spending time with your loved ones. Farm House Chair – A farm house chair is casual, homey, practical, and long lasting. Since your farm house chairs are all of these qualities, you are too! Look forward to decorating you home with many farm house chairs to come and create a French country or farm house home that you are proud of. Sierra is a freelance writer and blogger at her blog Ocean Dreams. She loves a princess chair but sometimes also likes a leather chair as well, depending on her mood. I want a chair that will give me all the comfort after hard day's work. I like the farm house chair and wish I could just sit there right now. I'd like a farm house chair because I don't want things too formal or too rigid. I want things to be casual and convenient.